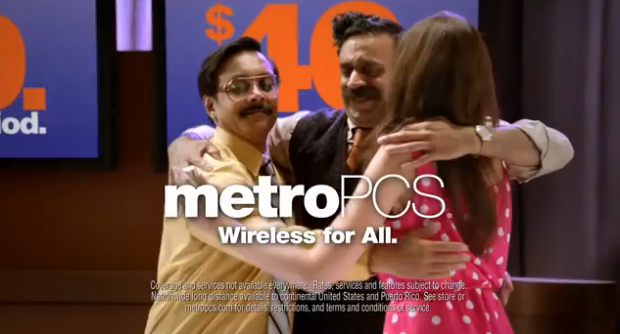 MetroPCS today confirmed that it is in discussions with Deutsche Telekom regarding an agreement to combine T-Mobile USA and MetroPCS. There can be no assurances that any transaction will result from these discussions, and the Company does not intend to comment further unless and until an agreement is reached. Rumors about a potential acquisition by T-Mobile had been swirling around for a while and only seemed to have gotten louder after reports emerged saying that Sprint won’t be entertaining anymore talks to purchase the company. The deal was almost done between the two companies and Sprint’s CEO Dane Hesse had even signed the deal, but Sprint’s board of directors quickly killed it from happening. No one really knows why the board stopped the deal from going, but after it happened, the next major player turned out to be T-Mobile. MetroPCS currently has over 9.3 million subscribers for its pre-paid wireless service compared to T-Mobile’s 33.2 million subscribers. As Forbes noted, should the proposed merger actually go through, this would be the first sign of a consolidation phase within the US wireless industry. This would actually also be T-Mobile’s first major move in light of the failed acquisition by AT&T, due to regulatory concerns. First, MetroPCS ‘ spectrum holdings are largely complementary to those of T-Mobile USA in both geography (MetroPCS has more spectrum in the Northeast where TMo is weaker) and bands. Second, with two network mergers under their belts including one with an LTE overlay and an outstanding CTO, DT is arguably better placed to move MetroPCS towards LTE then anyone. Third, while this would give the combined entities just 12.9% of the total market in the U.S., it would give them 29.5% of the prepay market. After issuing the statement, MetroPCS’s stock price jumped 17.27% to currently be at $13.51 while T-Mobile’s parent company Deutsche Telekom price is down to $12.66.